Juli Peretó, deputy director of the Institute of Integrated Systems Biology (I2SysBio), the mixed centre of the University of Valencia and the CSIC, will be the coordinator of IBER-XYFAS, a Latin American network for the surveillance of Xylella fastidiosa sponsored by the Iberoamerican Program of Science and Technology for Development (CYTED). This bacterium causes diseases in plants of great agricultural importance such as the olive tree or the almond tree, and currently in the Mediterranean area has already led to the death of thousands of crops. 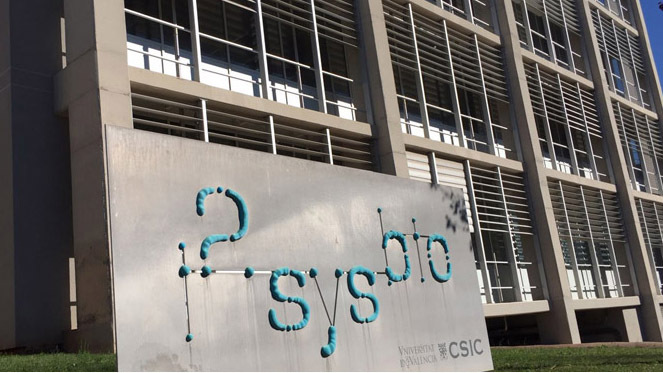 The approval of the IBER-XYFAS network took place in the last meeting of the General Assembly CYTED, an organisation created by the governments of Latin American countries to promote cooperation in science, technology and innovation for development. The network will be developed in the agro-food area, and is one of the seven new networks created for the year 2019, funded for four years. Professor Juli Peretó is entrusted with the task of coordinating a network whose main objective is to increase the scientific and technological relationships between the main research groups, expert personnel, companies and regional governments involved in the fight against diseases caused by the X. fastidiosa bacterium. According to Juli Peretó, “the arrival of this bacterium in Europe is recent and, with good judgment, CYTED called for the creation of an international network that groups the countries that have long lived with this pathogen, as in the case of Brazil, in order to share knowledge and experiences among all”. Also, according to the specialist, “sharing this information will allow developing a surveillance system at the service of governments to take measures to contain illnesses, because at the moment we do not know how to cure them”. In spite of its open nature, the network starts with a consortium of 32 groups, companies and institutions with agronomic competences (such as the Valencian Institute of Agricultural Research IVIA or the corresponding plant health services of the Valencian Government, the Balearic Government or the General Council of Aragón), belonging to 10 different countries (Argentina, Brazil, Costa Rica, Spain, United States of America, Guatemala, Italy, Mexico, Portugal and Chile). The IBER-XYFAS consortium also intends to raise awareness among the general public and farmers in particular about the severity of diseases, that by now are incurable, caused by this bacterium that attacks numerous crops of great economic importance, including almond trees, olive trees, the vine, the citrus fruit and a great diversity of fruit trees. Juli Peretó is a professor at the Department of Biochemistry and Molecular Biology of the University of Valencia and is currently deputy director of the Institute of Integrated Biology of Systems I2SysBio (mixed centre between the University of Valencia and the CSIC). Among his various lines of research, the study of metabolic evolution and the biology of microorganisms systems stands out through the computational models of their metabolism.